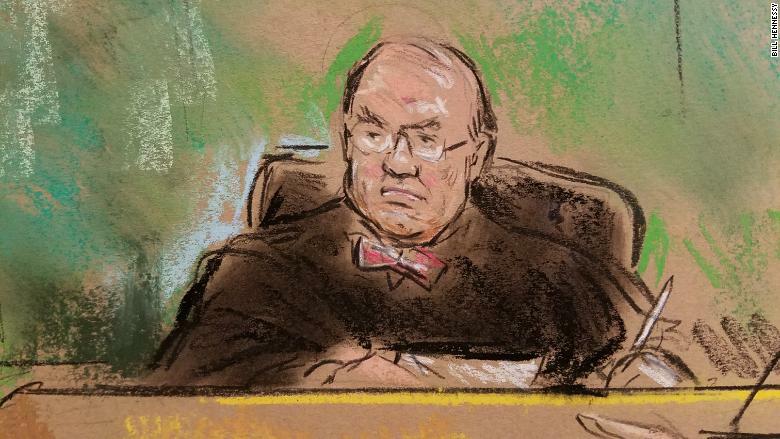 Every morning for the past four weeks of the AT&T antitrust trial, the people in courtroom 18 of the U.S. District Court for the District of Columbia stand for Judge Richard Leon as he enters and approaches the bench, clad in a bow tie and gown. It's like watching a king taking his throne. And in this case -- Leon is king. 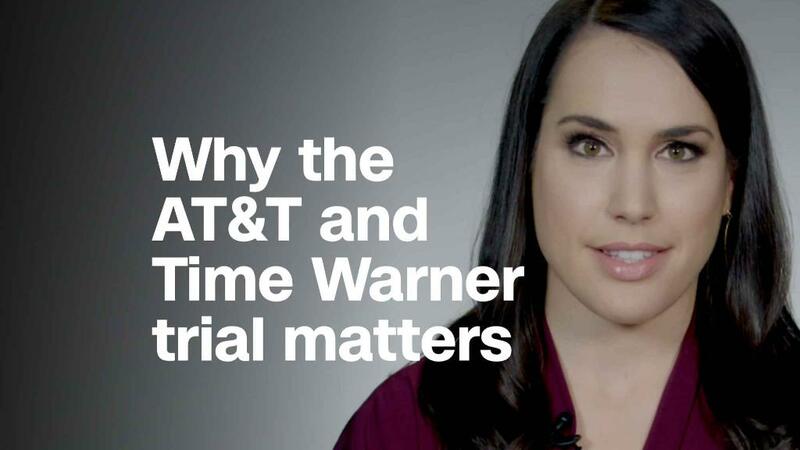 The lawsuit the U.S. Justice Department brought to stop AT&T's planned acquisition of Time Warner, CNN's parent company, is a bench trial -- meaning there is no jury and it is up to Leon to decide whether the deal can go through. The government sued to stop the $85 billion deal because it believes AT&T would use Time Warner content -- like CNN, TBS and HBO -- to exert unfair leverage over its competitors in the pay TV arena. That, the government argues, would draw consumers to AT&T's own television offerings like the satellite company DirecTV, which is owned by the telecommunications giant. Not only would prices go up for consumers, the government contends, but the merger would also stifle competition and innovation. AT&T and Time Warner say the deal is necessary to help the newly merged company better compete with the likes of Facebook, Apple, Netflix and Google who are all entering the content arena. Those companies, AT&T and Time Warner say, have more detailed data on their consumers that help them in content selection, delivery and most importantly -- in advertisers. Leon has more than a binary option -- to stop the deal or not. He has some leverage, according to antitrust experts and former Justice Department officials. Leon can essentially force a third option, where he tells AT&T and Time Warner he'd allow the merger to proceed but only if they made certain changes to the transaction. "There's really no limit on the scope of what the judge can do," said Jeffrey Blumenfeld, a former senior Justice Department antitrust attorney who is now a partner at the law firm Lowenstein Sandler. Blumenfeld said he is in favor of the government bringing this case to trial. "A judge in these kinds of cases has very broad equitable power to fashion the remedy that he thinks will best address any potentially lessening of competition that could be occasioned by the merger," said Jonathan Pitt, co-chair of Williams & Connolly LLP's antitrust practice group. One possibility, Pitt said, could be an adjustment to the arbitration offer that Turner -- the Time Warner subsidiary that runs its cable networks -- sent to its distributors after the Justice Department filed its lawsuit last year. The offer guarantees Turner will arbitrate any contract disputes with distributors, like a cable company or a new streaming service, and guarantees against blackouts in which distributors lose access to certain channels during an impasse in negotiations. Turner's current offer is blind, and offers "baseball-style" arbitration, meaning each side makes an offer and an arbitrator decides which offer to accept based on the "fair market value." Earlier this month, Leon asked one witness, Charter cable executive Tom Montemagno, whether he'd be open to an arbitration offer that was not as "blind" and "mutually beneficial, mutually fair." That led many observers to wonder if Leon was leaning toward approving the merger, but with an altered arbitration agreement. Blumenfeld, however, cautioned against taking what a judge asks a witness as clues to what their decision may be. "A judge may pound harder on the side that's winning to be sure they're not understating or overstating what the evidence shows," he said. Pitt -- who said he thinks the Justice Department may have "bit off more than they can chew" by bringing this case -- said Leon could ask for a modified arbitration offer in two ways: He could informally signal in court to AT&T and Time Warner that he would likely approve the merger if they submit a new arbitration offer that meets the standards he thinks are necessary. Or, Leon could just "impose those conditions, whatever they may be, as part of an order that he issues along the lines of an injunction," Pitt said, noting though that it would be "extremely rare" for a judge to issue such an order. There's always the possibility of a last-minute settlement. Neither the government or AT&T and Time Warner have made any indication that a settlement is in the cards. But until the judge submits his order, the two sides could reach a settlement that would completely change Leon's options. Leon would then have to approve the settlement, or not. If the Justice Department and AT&T-Time Warner reach a settlement, the public will have 60 days to weigh in and submit comments before it goes to Leon. One former Justice Department antitrust official, who asked to remain anonymous so as to speak more freely, said that based on what he's seen in the case so far, "I suspect the DOJ is worried about their case and might be thinking about settlement." "The government is in serious trouble," the official added. Several observers in the courtroom who watched last week's testimonies noted that government attorneys failed to land any major blows in their cross examinations of AT&T and Time Warner's witnesses, especially when they questioned CEOs Randall Stephenson and Jeffrey Bewkes. Government attorneys managed to get certain concessions, like the fact that DirecTV prices have increased for consumers in recent years even though they've cut costs. But the CEOs largely brushed aside the government's contentions that the pay-television industry is not experiencing as steep a decline as the CEOs have conveyed to the court. The two also forcefully pushed back on accusations that they are not actually competing directly with the likes of Facebook, Amazon and Google, arguing that they're all fighting over the same advertising dollars. To be sure, it's hard to predict how such testimony will affect Leon's decision, as many pieces of evidence have been entered under seal because they are confidential internal business records and, as several antitrust experts have contended, the hard data from the economists and other experts witnesses often outweigh the testimony of a CEO. Whichever way Leon rules, there is always the appeal process, should the losing side choose to take it. That process opens up a small possibility that this case could, in theory, end up in front of the Supreme Court, something the former DOJ official said some in the legal community have been seeking. "The Supreme Court has not taken up a merger case since the 1970s," the former official said. "There's a lot of commentary on how the court ought to take a merger case up and clarify modern day standards on economics and law." With a June 21 merger deadline looming, Time Warner and AT&T may not be willing to wait and see that lengthy process all the way through. AT&T rested its case this week with Stephenson as its final witness. The trial now enters the "rebuttal" phase before closing arguments, which are expected to take place by the end of April. Leon will then take several weeks to write a lengthy opinion with his decision.